More photos from the tree planting ceremony at Rideau Hall, Canada! [HQ]. Prince William and Catherine, Duchess of Cambridge, follow a royal tradition and plant a tree at Rideau Hall, the official residence of the Canadian monarch and the Governor General of Canada. This is the third day of the royal couple’s nine-day tour. 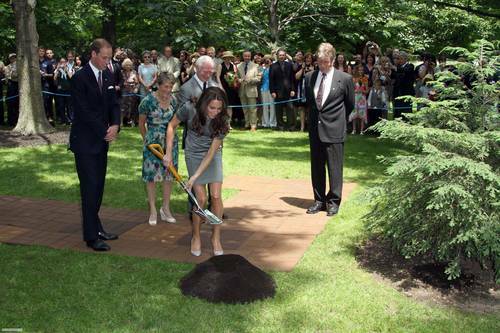 HD Wallpaper and background images in the Prince William and Kate Middleton club tagged: catherine middleton hrh prince william 2011 canada tree planting ceremony rideau hall event hq photo.